What is current vaccine science and who is funding it and doing it? How do vaccines work, and have they done, and do they do what we’re told they do? What role do vaccine ingredients play when injected into infants and children? What do the ingredients do to our children once they’re injected? Do vaccines contribute to the development of chronic illnesses in children? How do our children get into school if they’re not vaccinated? How does the immune system work in babies and children? Attendees will hear some of the answers to these questions, along with the research that questions whether vaccines are safe and effective, and whether the scientific process is even at work to prove the answers to these questions. Attendees will also be asked to look at the issues that drive us to make the decisions we make, many of which come to us through fear, bullying, uncertainty, and a lack of knowledge, and to perhaps think alternatively about how illnesses occur and disappear. Attend this special event and come away with the tools and inspiration to confidently and holistically parent your child from infancy to adulthood. Dr Palevsky will delve into all topics related to parenting your child for optimal health and wellness. An evening of thought-provoking discussion for parents and parent 'to be' on how to make informed choices for their children and how to optimize their health. You’ve heard Dr. Palevsky speak about nutrition, vaccines, how to let children experience their symptoms so they can be well, and preparing your children for winter. In this talk on Nurturing the Spirit of Your Child, attendees will be treated to some rarely presented information about children’s development, optimal ways to connect to children and help them feel safe, new insights into how children learn, and important tips on making parenting less stressful and more pleasant. You will learn how to optimally nurture the spirit of your child so he/she can thrive in today’s world, and individuate into the best children they can be. Attendees will leave with tips they can immediately implement in their daily lives. Your children are waiting for you to learn these new and exciting parenting skills. Time will be provided for parents to ask questions about their own family experiences, so everyone can hear first-hand how to handle real-time issues with their children. Dr Palevsky will spend the evening in your company, answering your questions about children, and their health, development and well-being. Have concerns and queries about how to best care for your children? Dr Palevsky will offer candid and useful answers to your most burning questions on pediatric healthcare, along with helpful tools to support your choices…..
Not comfortable with conventional answers to your questions? 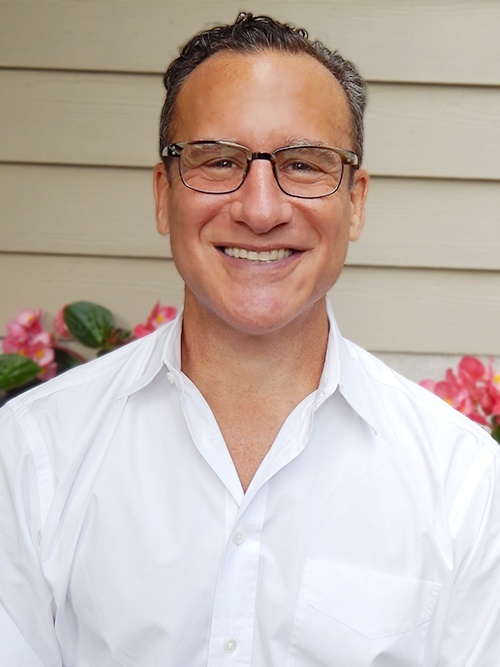 Dr Palevsky will share his vast experience from both the allopathic and holistic pediatric worlds, to empower you to make informed choices that are right for you and your children….. Overwhelmed by fear of illness and disease? Dr Palevsky will share his perspective and invaluable insight on children’s illnesses and their immune systems…. Quell the confusion, file away the fear…Join us and come with questions and curiosity. ** Please note Dr Palevsky will not be able to answer specific questions about your child’s individual medical situation. Believe it or not, the season of winter begins in the first week of November (in the Northern Hemisphere), even if we are not experiencing typical winter weather at that time. At this lecture, attendees will hear why the winter season begins in November, and not on December 21, and how they can eat and live according to the winter season to ensure optimal health and well-being. You will learn about the choices you can make for your family during this time of year, and how these choices can help you avoid the typical winter illnesses. Flu-like symptoms are not a guarantee just because it’s winter time. You will also hear about safe and easy ways to treat and resolve any of the winter illnesses, if they occur at all. Most importantly, attendees will learn the dietary and lifestyle choices they make during the winter season can also have a big impact on how their bodies might feel come spring time. Parents receive a lot of advice, and read conflicting reports, about what are the “right” foods to feed their infants and children. In this presentation by Dr. Palevsky, you will hear him discuss what foods are optimal for children’s nutrition, growth, and development. But, you will also come to understand that it is not just the absolute value of the food that we need to look at. The nutrient content of a food is not the only factor that determines its benefit, or the impact it will have on our children’s health. Dr. Palevsky will also address other factors that are just as important, if not more important, in making sure our children are well nourished. We will explore the digestive system of infants and children, the energetics of food and our bodies, the conditions in which foods are grown and cooked, what states our bodies are in to receive maximal benefit from food, the relationship we have to food, and how all of this information impacts pediatric nutrition and nourishment. In consideration of the philosophy of today’s conventional medical practice, and of the beliefs of our current dominant cultural norms, we are taught to view symptoms of acute illnesses in children as something bad and dangerous. Parents are taught to believe symptoms and childhood illnesses can and should be avoided, suppressed and stopped at all costs, with the use of over-the-counter medicines, antibiotics, pharmaceutical drugs, and vaccines. Parents are also made to fear the worst-case scenario each time their children get sick, or when they choose to not vaccinate their children. In this lecture, attendees will begin to understand why children must experience their symptoms and illnesses as a necessary rite of passage that allows their immune and nervous systems to grow, mature, and develop. Attendees will also learn that the expression of these symptoms is not necessarily caused by bacteria and viruses. Instead, these symptoms and illnesses occur as a sign our children are healthy; that their bodies are working to bring to the surface, and cleanse, any accumulation of wastes from deep inside, perhaps even with the aid of bacteria and viruses. You will come to understand we are harming children with the constant use of over-the-counter medications, antibiotics, drugs and vaccines that treat and suppress common and necessary childhood symptoms and illnesses. You will also come to learn it is the use of this dominant treatment approach that drives wastes deeper into our children’s bodies, directly contributing to the development of chronic childhood illnesses. Attendees will hear about what contributes to the excess accumulation of wastes in our children, and what they can do to allow these wastes to be safely removed. In a nutshell, we need to facilitate the resolution of our children’s symptoms without suppressing them, and we need to take another look at the value of childhood illnesses in our society. Children need to be sick in order for them to get well.